Despite expedient apology, Omar due to speak this month at fundraising event alongside senior charity official who has praised killing Jews. Minnesota Democrat Rep. Ilhan Omar apologized today after facing political isolation for tweets that were condemned by both parties as anti-Semitic. Despite the expedient apology, Omar is due to speak this month at a fundraising event alongside a senior charity official who has published social media posts praising the killing of Jews. This was reported by Islamist Watch's Sam Westrop. Islamic Relief USA is hosting a fundraising dinner for aid to Yemen on February 23. 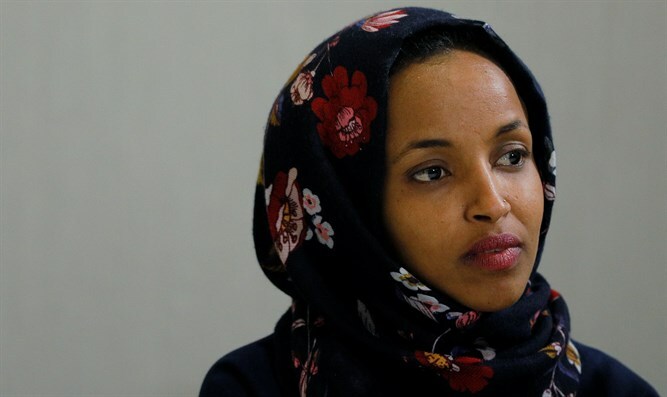 Rep. Omar is due to speak alongside senior Islamic Relief USA official Yousef Abdallah, who was widely criticized in 2017 after the Middle East Forum found he had expressed violently anti-Semitic ideas on social media.